Food causes plaque to build up resulting in gum disease which requires regular professional Dental cleanings. 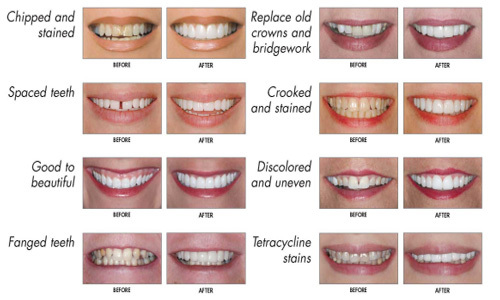 Porcelain Veneers are thin shells of ceramic that would be attached to the front surfaces of your teeth. For replacing missing teeth, dental implants are now considered to be the most popular and best option. White fillings would be made from a mixture of glass and plastic particles to cover the portion of the tooth affected.